Netvibes dashboards enable you to aggregate and analyze the data that matters most to your business. Automate alerts and actions from the dashboard to help your business respond immediately to critical data insights. For example, you can share live dashboards across your company or share insights on-demand using PushMail and PushWeb automated reports. Netvibes Dashboard Intelligence helps consumers, professionals and teams to monitor and act on the most important information that impacts them online. If you’re new to dashboarding, now is the perfect time to try Netvibes. Everyone who creates a new account at Netvibes.com will automatically receive a free trial of Netvibes VIP for 14 days. Priority support – Have a question or need help? Just ask. Universal search – Easily find anything on your dashboard using our powerful search functionality. Tracked Topics – Automatically stay informed about topics that are important to you. Unlimited Potions – Control interactions between all your IoT devices and apps, without limit. 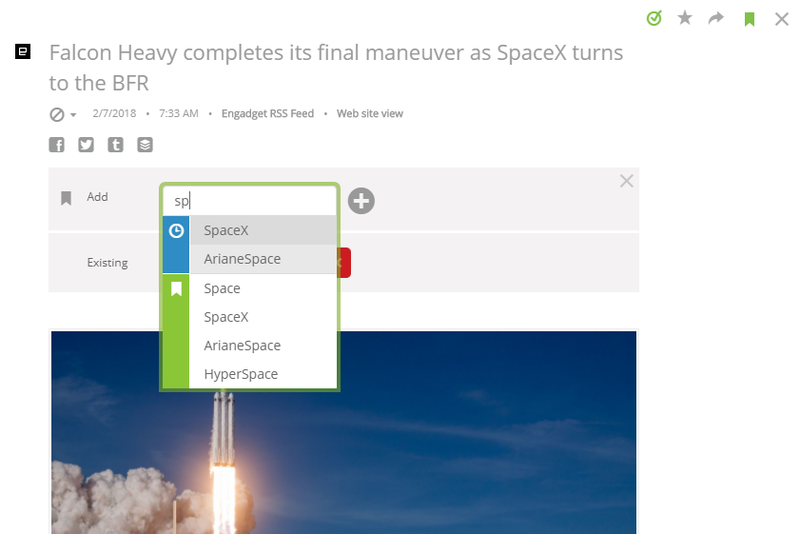 Today we have more good news for VIPs: you can now use Opinions to add your own custom tags and opinions to any article on the dashboard. For example, you can flag articles to read later, classify important articles together, mark items as “Threats” or “Opportunities” or anything else you like. Today we’ve added two new ingredients so you can do even more with Netvibes Potions. You can now remotely control your Netatmo Thermostat and upload files to Google Drive automatically, in response to custom triggers or events. Let’s see how the new Potion ingredients work. With Potions, you can be a wizard of the Internet of Things by controlling automatic interactions from your dashboard. Achieve more in your business by automating actions (for example, When website traffic increases for 5 days in a row, then email the team). Or take control of your personal life by automating apps and smart devices (e.g., When I post a photo on Instagram, then automatically share the picture on Facebook and Tumblr). To create your own Potion, simply mix-and-match the Trigger(s) and Action(s) you want to take place. Potions are fully customizable, and the possibilities are endless! (Learn more about using Potions in our documentation). Netvibes Universal Search (available for VIP and Premium dashboards) makes it quick and simple to locate any piece of content or information from your dashboard. Simply type in a keyword, use Boolean search terms, or drill down by facets–including people, geographical location, sentiment (negative/positive/neutral), and more. Beginning today, Premium users can now merge multiple entities together in Universal Search in order to avoid redundancies and analyze data in different ways. Here’s how it works. In Universal Search, named entities are typed information that can be extracted from your personal corpus or sources. The Netvibes dashboard automatically identifies these entities. For example: “Donald J. Trump” is an entity under the “People” facet, and “Super Bowl” is an entity under the “Event” facet. Netvibes’ goal is to always provide you with accurate answers to the questions you want to ask. With many redundant names in use for brands, people and events, it can be difficult to get accurate insights on the topics most important to you. Using Mr. Trump as an example, there are many different entities referring to him, such as: “Donaldrump,” “Presiden John Trump,” “Donald J. Tt Trump” and more. By default, the Netvibes dashboard tracks each of these entities separately. If you want to analyze “President Trump” mentions versus “Donald J. Trump” mentions, that’s easy to do. But what if you want to analyze ALL Trump mentions (regardless of the name people call him)? You can now easily merge entities together on the Netvibes dashboard to avoid redundancies and group similar words together for clearer insights. This feature also streamlines the analytics on your dashboard to reveal more accurate results. For example, a Word Cloud graph showing the most popular words associated with “Donald Trump” might be cluttered with Trump names, but after you merge the entities together, the Word Cloud will list Trump only once, thereby revealing other terms associated with the topic. We’re continually improving our dashboard features to help you get more done with Netvibes. Today we launched our newly improved Universal Search functionality for VIP and Premium users. Let’s explore what’s new. With Universal Search, you can instantly find whatever you’re looking for by typing in simple keywords or drilling down by facets, including language, sentiment, geographical location and more. Beginning today, you can also use Universal Search to locate apps on the dashboard. To try it, simply search for a keyword, such as the app name or a word contained in the app. Netvibes’ Universal Search bar will auto-return results as you type. Results are automatically divided into categories to help you home in on your target, whether you’re looking for an app, an RSS feed, an article, or something else. We are excited to announce that our completely redesigned website has launched today for all new Netvibes users! Check it out at netvibes.com. Netvibes brings the power of Dashboard Intelligence to everyone–individual users and enterprises alike. Our completely redesigned website, netvibes.com is focused on enhancing the individual experience so that everyone can get more value out of their dashboards. With an all-in-one master dashboard for your digital life, you can save time online, increase your productivity, stay informed about any topic, control your smart devices and much more. When you sign up for a new account at netvibes.com, you will see our new wizard that makes it simple to set up your own dashboard. Pick your library(ies) of sources you want to track, enter any keywords of special interest, and click “Dashboard it!” In just a few clicks, you will have a custom dashboard tailored to your interests that can track and analyze any topic. Currently the new wizard is available for new Netvibes accounts only but will soon be expanded to all existing Netvibes users.